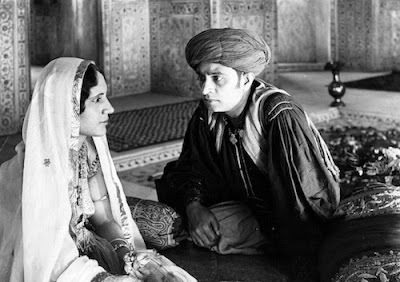 Based on a play by Niranjan Pal Shiraz tells the story of Shiraz and the love his life the princess Selima. The two had met when Selima was found by Shiraz’s father as a small child, after her caravan was attacked by bandits and she was left for dead. The pair were raised as brother and sister, however after a turn of events Selima ends up sold as a slave to the royal court. She then catches the eye of the prince, later emperor and intrigue occurs. 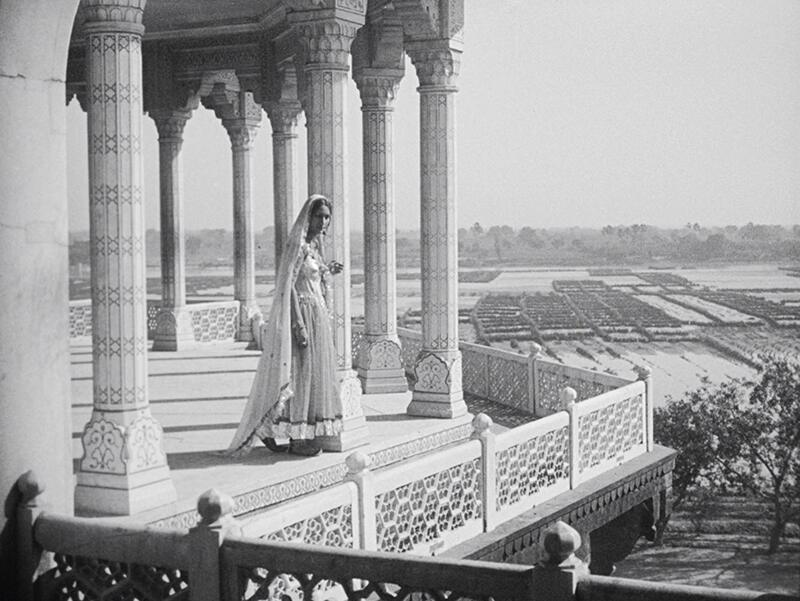 Shiraz: A Romance From India is probably a film unlike any other you’ve ever seen. 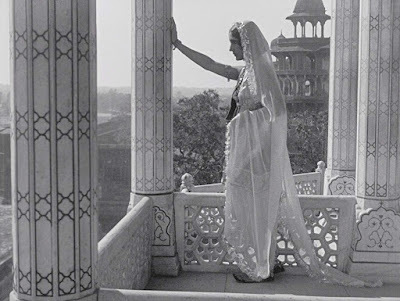 Shot on location in India, with an all Indian cast by a German director and a crew that was a mix of Indian and European filmmakers the film it is full of images that put us right in the middle of the action in ways that other films simply can’t. It’s clear we are in real places and seeing real people and not the typical dress up of the filmmakers of Europe or Hollywood. Watching the film I found myself going back through the film a second time, not to watch the drama but simply look at the settings and the faces and the world the film creates. A soapy melodrama that ends in melancholy, it is not giving anything away to say the film has to do with the building of the Taj Mahal, the story is a tear jerking tale of love that crosses classes. We know this isn’t going to end well for the lovers, though I’m guessing that you won’t see how it’s going to play out. I know I didn’t. Personally I like the film, but I am not madly passionate about it. I like it more for the technical aspects of the film than the film itself. Before you close your mind and instantly decide that this means the film isn’t good, understand that in this case it is purely a matter of personal taste. I am not a fan of love stories of this sort (I’m not a fan of say the works of Nicholas Spars for example). Sad love stories don’t speak to me as they do to others. I'm not high on the film because the story is the sort that isn’t my cup of tea. The love story not being my cup of tea aside, you really should go see this film when it plays on a big screen. 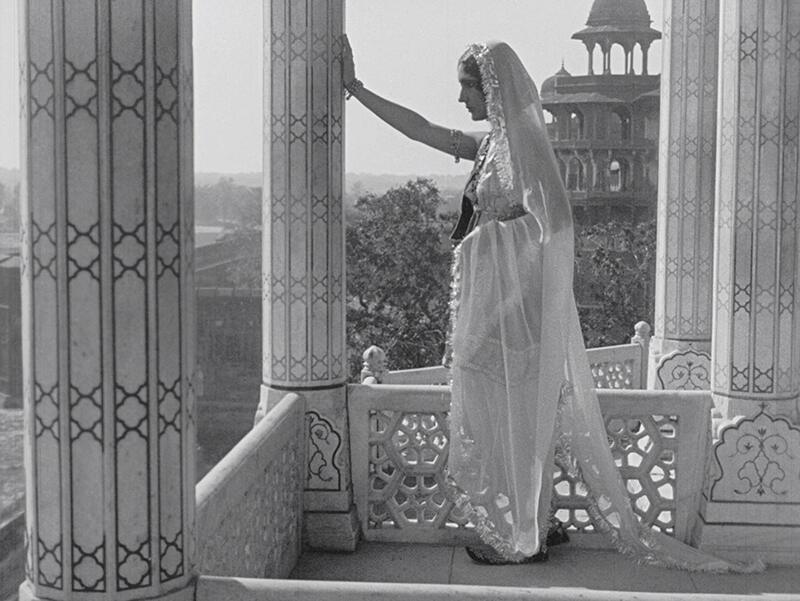 The images, mixed with Grammy Award-nominated Anoushka Shankar‘s score make this film that is why we go to the movies- a glorious trip to another world and time. Shiraz: A Romance of India opens Friday at New York’s Metrograph and is recommended.